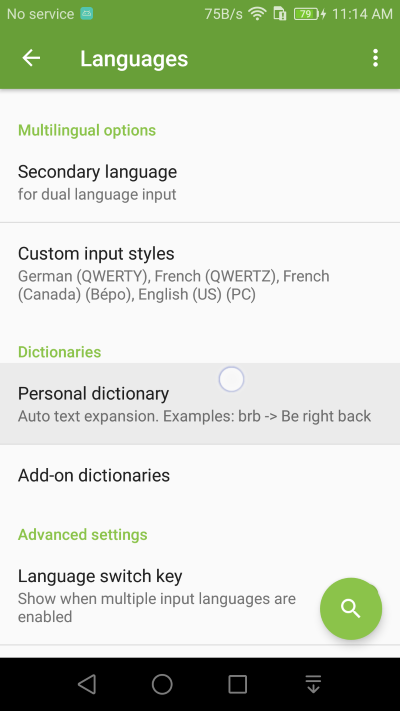 Text shortcuts are now under Personal dictionary setting. It allows you to add text shortcuts for any text such as email addresses, short phrases, etc. 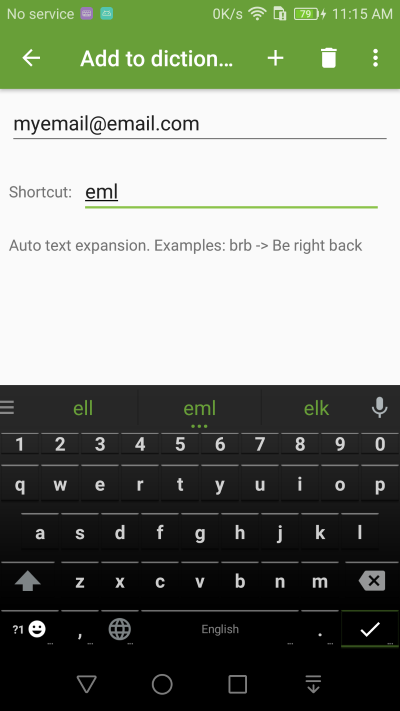 Enter a text shortcut, for example, use ‘eml’ as a shortcut to your email address. 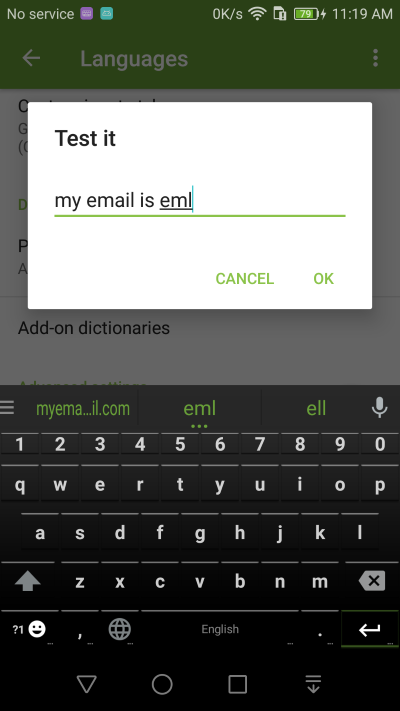 Then instead of typing your email every time, you can simply type ‘eml’ to get your email address.